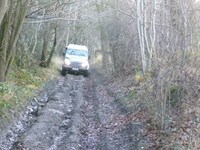 We have a number of different ways for you to enjoy a 4x4 Driving Experience, driving our Land Rover Defender. Choose from the following driving experiences, or see our Tuition & Training page for other options. 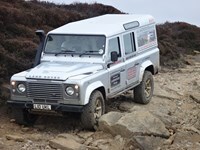 Take to the controls of our Land Rover Defender 110 for a half day session, as your instructor guides you over obstacles including steep hills, deep water, side slopes, slippery mud, and rough rocks, all the time learning the techniques required to safely tackle this tricky terrain. Click here for more details or to book your day or order a gift voucher. 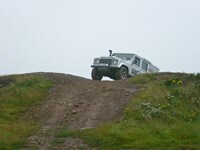 It's not just the adults who can enjoy the fun at our off road centre. 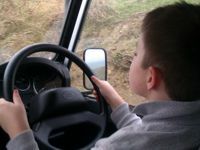 These sessions are designed to let the kids take the controls of our Land Rover Defender 110. As long as they can reach the pedals, they'll be able to drive the course tackling steep hills, water holes, slippery mud and side slopes. Click here for more details or to book your day or order a gift voucher. Let us take you on a full day tour of the North York Moors National Park, driving some fantastic tracks and trails and learning how to safely and responsibly handle a 4x4 in its natual environment. Your instructor will be in the passenger seat guiding you along the route, which involves you driving on as well as off road. Click here for more details or to book your day or order a gift voucher. You'll spend the morning at our dedicated training site at Robin Hood's Bay, learning how to handle our Land Rover in various off road situations. At lunchtime we'll take a break before spending the afternoon on the tracks and trails of the North York Moors National Park, putting into practice everything you've learned. Click here for more details or to book your day or order a gift voucher.